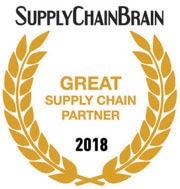 Pilot was named as one of SupplyChainBrain’s 100 Great Supply Chain Partners, an annual peer-nominated industry honor. Over a period of six months, supply chain professionals submit vendors and providers whose solutions have made a significant impact on their company’s efficiency and overall supply chain performance. In June, Pilot was awarded its 16th Ryder Carrier Quality Award. The commercial fleet management, dedicated transportation, and supply chain solutions company recognizes excellence through a variety of metrics, including on-time performance, claims handling, customer service, technology applications, economic value, and innovation for the last full calendar year. For the ninth consecutive year, Pilot has been named to Inbound Logistics’ list of the top 3PL Providers. Each year, Inbound Logistics’ editors select the best logistics solutions providers by carefully evaluating submitted information, conducting interviews and online research, and comparing that data to their readers’ expanding global supply chain and logistics challenges to serve their unique needs better and with more efficiency. Announced earlier this summer, Pilot received the nod as the top Airfreight Forwarder in Logistics Management magazine’s Quest for Quality. Pilot also scored top in both the on-time performance and value categories. This recognition is widely regarded in the transportation industry as the most important measure of customer satisfaction and performance excellence. Readers also rated providers on customer service, IT and equipment and operations.